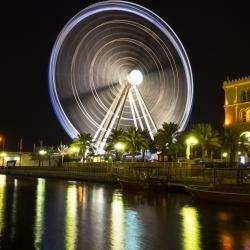 Looking for hotels near Sharjah Aquarium? On Corniche Road, this hotel has apartments with a kitchenette and partial sea views. Sharjah International Airport is a 20-minute drive away. Located in the heart of Sharjah, the Copthorne Hotel Sharjah is a striking landmark on the Corniche Road, overlooking Khalid Lagoon. Just steps from the beach in Sharjah, this 3-star Premiere Hotel & Resort is one mile from Al Jazeera Park and the Central Souq. With a beachfront location on the Arabian Gulf, this resort offers a panoramic outdoor pool and a small private beach. Massage treatments are available. Al Bandar Rotana is a striking, ultra-modern hotel with a prime waterside location in the city’s original heartland. Hotel is a brand new, staff was very polite, helpfull and nice. Room was studing. Offering a year-round outdoor pool and fitness center, Rove City Center is located just a 7 minutes drive from Dubai International Airport and 20 minutes by car from Dubai Mall. Very fun hotel! Lots of "street art" and cool well thought out decor! Located on the Dubai Creek, Zabeel House MINI by Jumeirah is playful, pocket friendly and located right in the heart of the hustle and bustle; perfect for eager explorers. Pretty much everything. The room was small but well equipped. 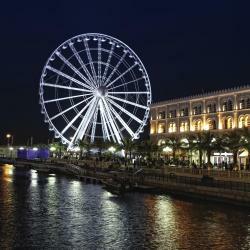 The Act Hotel Sharjah is located in Sharjah, within 3.7 miles of Sharjah Aquarium and 6 miles of Sahara Center. With an outdoor swimming pool, the property also features a fitness center. Room was wonderful. Very comfortable. Staff very friendly and helpful, and loved the location. Just a 15-minute drive from Al Mamzar Beach, Hilton Garden Inn Al Muraqabat is conveniently located in the heart of Deira. I like the location and comfort of this new hotel. Everything just around you. Swissôtel Al Ghurair is a upper upscale property linked to the Al Ghurair Shopping Center, 10 minute drive from Dubai International Airport. The Swissôtel Al Ghurair is a 428 room and suites property.... Staff were very friendly, rooms were clean and comfortable and of excellent size. Spa was amazing. AVANI Deira Dubai Hotel is located in the original and most culturally diverse part of Dubai, is ideally located in Dubai’s central business district, just ten minutes and 4kms away from Dubai... The location is very easy to reach. This newly renovated hotel, connected with a footbridge to Sahara Center Shopping Mall, has 343 rooms, including deluxe rooms (50 sq yards), executive deluxe rooms, one & two bedroom suites (with... Good cleanliness and excellent location. Lots of food restaurants in the area. Just a 10-minute drive from the Dubai International Airport. This 4-star hotel offers a rooftop pool, a fitness center and 2 restaurants. I booked this hotel because it is close to Dubai Intl Airport Terminal 2. 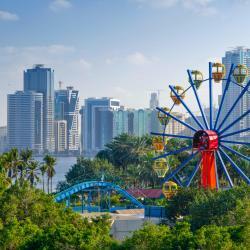 Hotels with great access to Sharjah Aquarium! Just a 5-minute walk from the Corniche Promenade, 72 Hotel is located in Sharjah. It offers modern accommodations with free WiFi. Evey thing fine and exxellent management . Featuring an outdoor swimming pool, fitness center, shared lounge and free WiFi, Al Salam Grand Hotel is located in Sharjah, 1.9 miles from Sahara Center and 2.9 miles from Sharjah Aquarium. Quite and very comfy, the staff are very hospitable and supporting , halal and Amir were too nice. JW Marriott is a 4-star hotel and offers elegant rooms in the center of Dubai. The extensive facilities include 10 restaurants, a spa and a rooftop pool. Ideal location, excellent staff, spacious room, good breakfast.